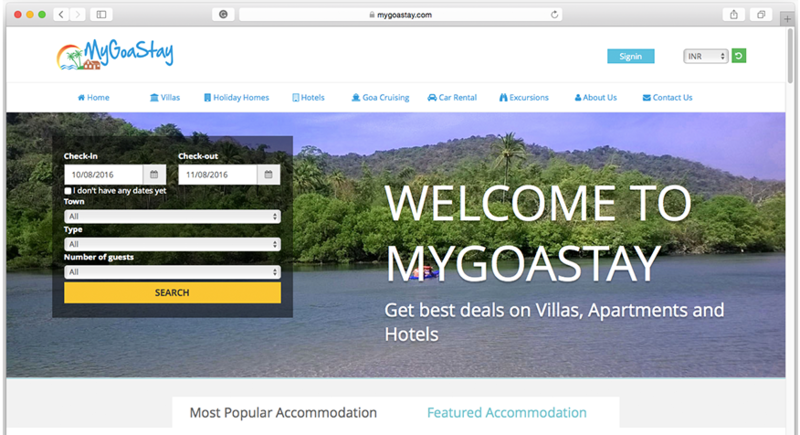 We have made the core vacation requirements visible here with user friendly web design and our elegant logo specifically depicts what service Mygoastay offers. 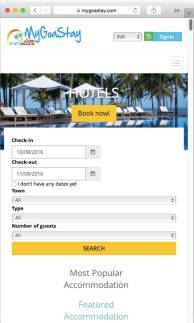 As we have built it mobile responsive website, users of all the devices can now easily access on Goa vacation and travel bookings from around the world. 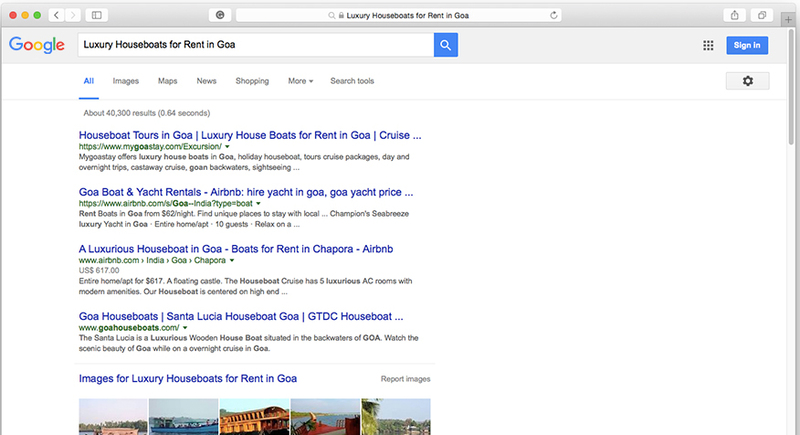 Now the site is perfectly awesome, we are now providing ongoing SEO services to grow their travel exposure on Google. 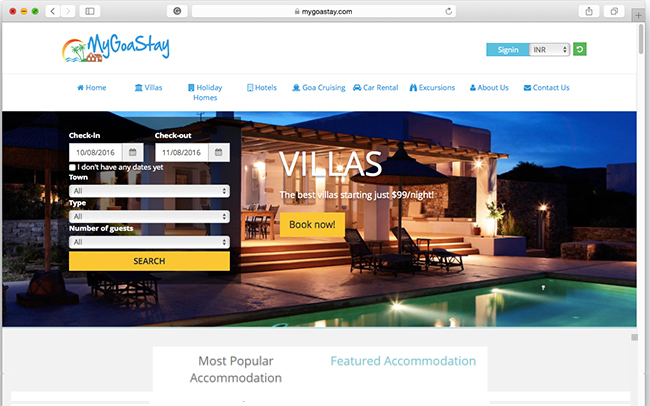 In order to improve the travel experience of vacationers, we frequently and continuously help client that increase productivity and competency and performance.